I love to spin art yarns and I think beehives are really cool looking. 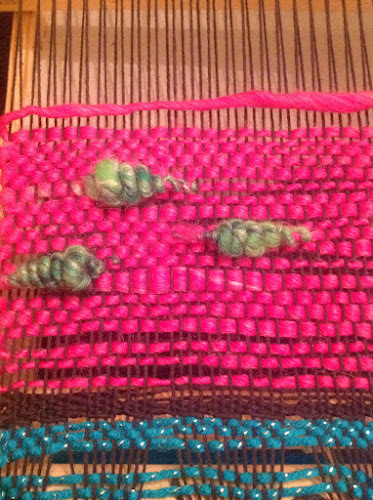 I posted this on my weaving blog but thought I would also post it here. This is a nice way to display beehives in your weaving. 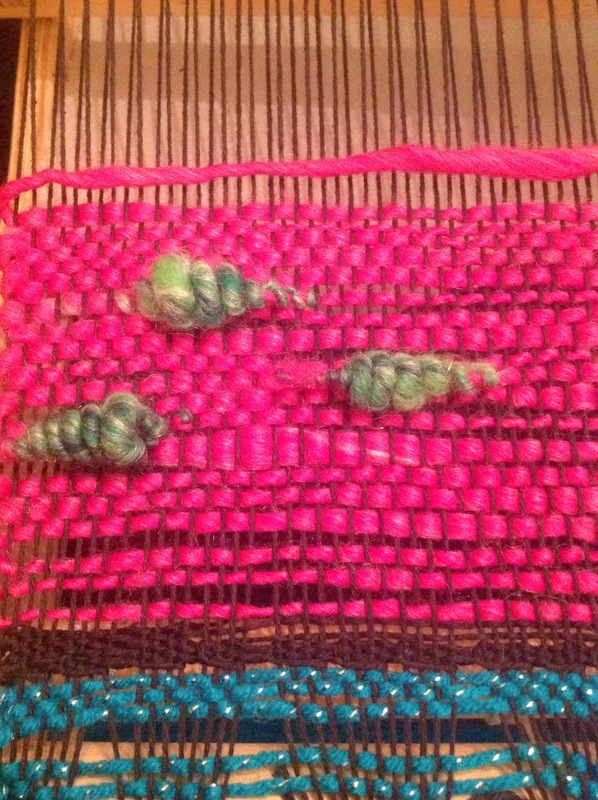 It is called finger manipulated weft floats.